28,666 others viewed this post. Phil Plait recently said that this nebula was ‘aptly named’ for it’s resemblance to the statue of liberty. He also said in the same article that projecting our interpretations like this ‘tells us just as much about ourselves as it does the object in question’. So I have to admit that all I see is the closing frame of the 80s classic teen hit movie ‘The Breakfast Club’, with Judd Nelson throwing his fist triumphantly into the air as Simple Minds ‘Don’t You Forget About Me’ heralds the closing credits. Also, is it really fair to name another nebula after such Americana after our USA friends already have the North American Nebula AND the California Nebula? Come on guys, you can’t even see NGC 3576 from your country. 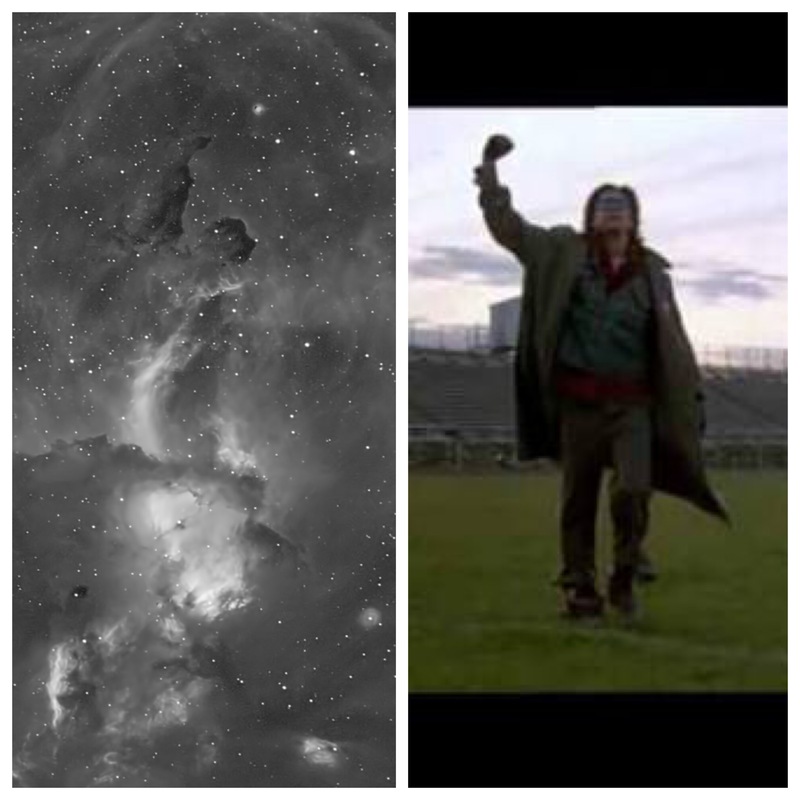 You have to come to the Southern Hemisphere to catch a glimpse of the Breakfast Club nebula. 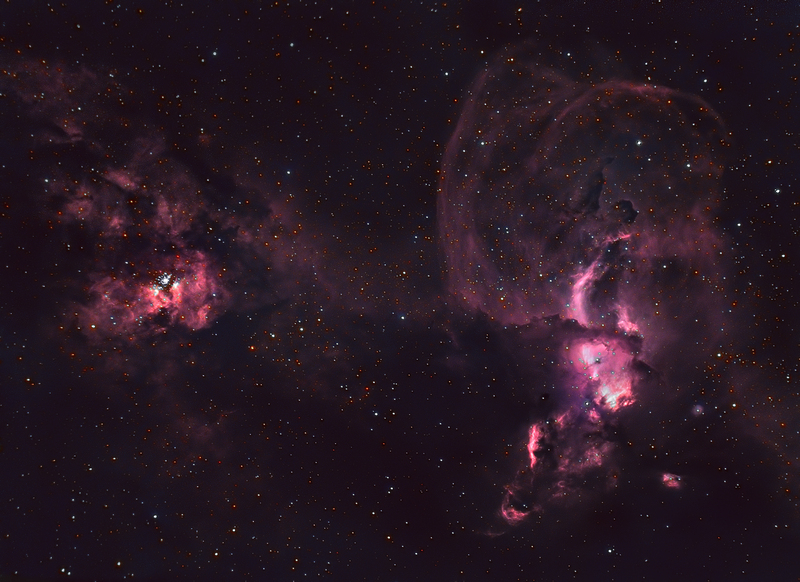 This astro photo is 62 x 2m Ha (QHY9) + 30 x 3m RGB (QHY12) with Celestron 9.25″ Edge HD and f6.3 Focal Reducer. Total Integration : 3.5 hours.